Bay Productions is a “one stop” facility that offers a world class service to the Opera, Theatre, TV Events and Exhibition industry. Bay Productions is the creation of Industry professionals with over 50 years experience of managing large scenery workshops. Our staff have had the opportunity over many years to collaborate with world renowned designers and construct scenery for the largest and most prestigious production companies in the world. Bay Productions will develop the finished product from scale models and concept drawings through to full size production, involving the detail design to produce 3D working models and bench drawings leading to the construction and finishing of the final product. Sets and exhibits are constructed and finished by highly skilled scenic artists in our 28,000 sq ft unit. Our drawing office team utilise the latest 3D software to model our projects. Experts in their fields, our team will manage procurement, scheduling and logistics so that together we ensure that our clients receive our utmost attention from inception to installation. Our sizeable team of highly skilled carpenters have extensive experience in the industry. Their traditional carpentry skills are complimented by their expertise in new and innovative materials which enable Bay Productions to deliver quality scenery time after time to suit projects of all sizes. 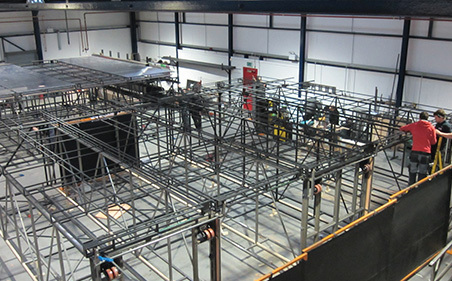 Our extensive fabrication department encompasses a wide and varied range of skills, services and techniques. From simple steel sections to large engineered motor controlled structures, whether in mild steel, aluminium or stainless steel, light or heavy gauge, we have the experience and capability. 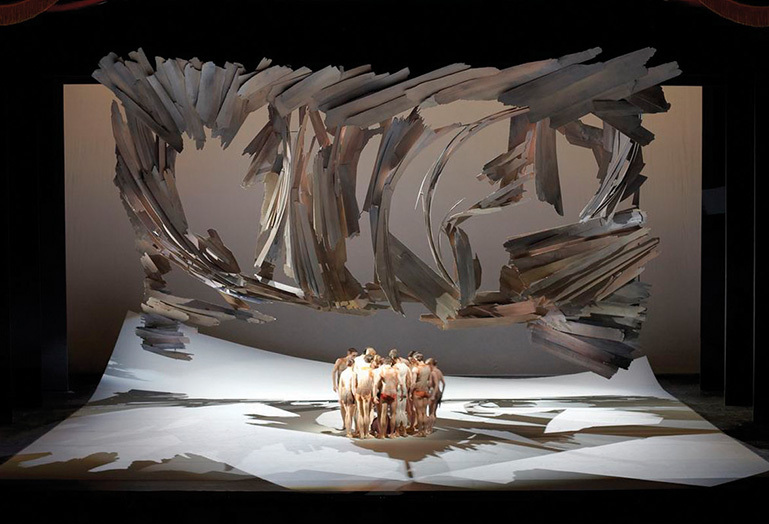 Our scenic artists have established an unrivalled reputation for quality and collaboration. We offer all aspects of scenic finishing including painting, sculpture, cloths and finishing in a wide variety of materials. 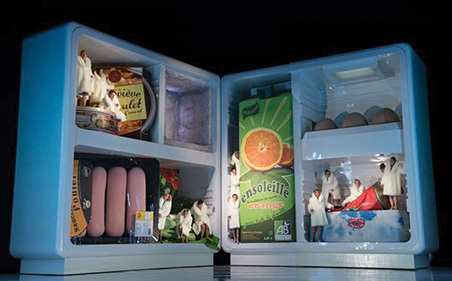 Our dedicated team of experienced scenery construction and scenic art professionals provide the expertise and technical skill set to fulfil the needs and requirements of our customers.